A National Workshop on Biotechnology and Development Concerns in Nepal was successfully held on 21st August 2009 jointly organized by Biotechnology Society of Nepal (BSN), South Asia Watch on Trade, Economics & Environment (SAWTEE) and Local Initiatives for Biodiversity, Research and Development (LI-BIRD). The workshop held at Hotel Everest, Kathmandu was enthusiastically attended by sixty participants representing different sectors of biology, academic bodies, government and non-government bodies, and private organizations. The objective of the workshop was to introduce the prospective of biotechnology in different fields like agriculture, food, health, biopharmaceuticals and biological production in Nepal. The program also focused on, intellectual property rights, technology transfer, community rights, and farmers’ participation in agricultural biotechnology and also on understanding the policy and strategies related to biotechnology. 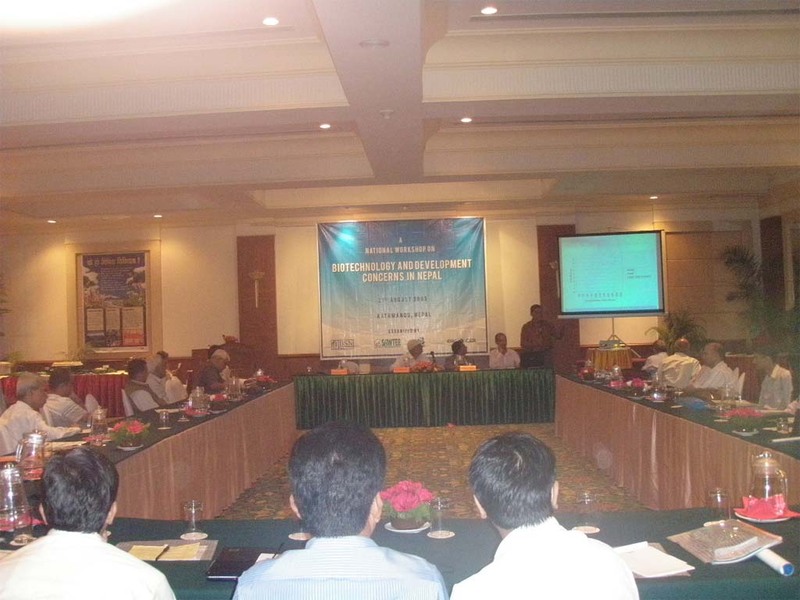 The workshop was divided into four sessions with different themes. In the inaugural session, Mr. Puspa Sharma (Program coordinator, SAWTEE) delivered his welcome speech and presented highlights of the program. Dr. Posh Raj Pandey (President, SAWTEE) who chaired the program, defined biotechnology as technology for human welfare. He opined that in country like Nepal acquiring known technology is better than hunting for a new one. Mr. Tara Lama (Program Director, LI-BIRD) advocated on access to benefit sharing by related community. Likewise, Prof. Dr. Hom Nath Bhattarai (Vice chancellor, NAST) said good policies should be introduced and implemented for the success in Nepalese scientific field. He highlighted some of the constraints of Nepal government in adopting new technologies. Dr. Puskar Bajracharya (Hon’ble member, National Planning Commission) emphasized that biotechnology can decrease trade deficit Nepal has been facing. Concluding remarks of the session and vote of thanks was delivered by Mr. Ravi Bhandari (Vice-President, BSN). In the following sessions, presentations on introduction to biotechnology and recombinant DNA technology were delivered by BSN team and Dr. Arti Pandey from Kathmandu Medical College respectively. 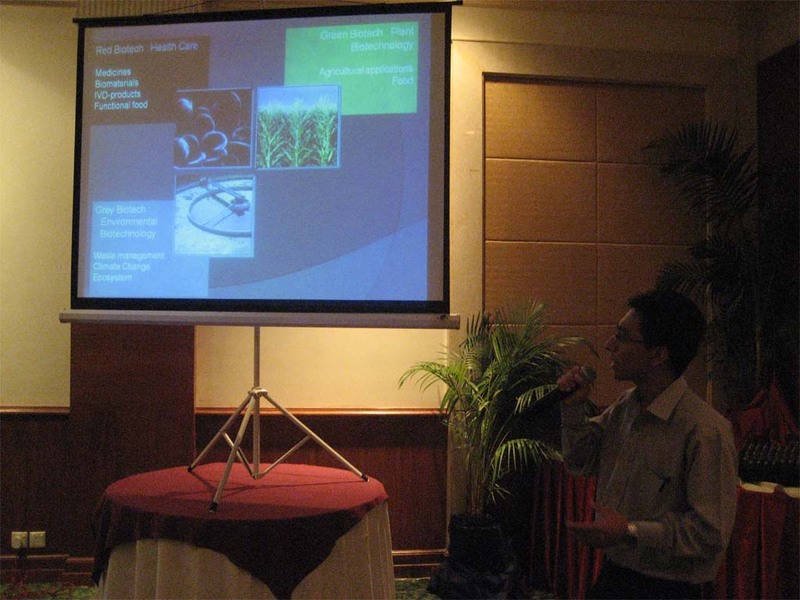 The status of biotechnology in Nepal, research works carried out in different sectors such as agriculture, livestock and biological production, food technology and biopharmaceuticals was delivered by Dr. Hari P.Bimb (NARC), Dr. Sudarson Pd Gautam (CBPL), Dr. Tika Bdr. Karki (Kathmandu University) and Dr. Pramod Aryal (Everest Biotech) respectively. Dr. Mukunda Ranjit, Professor Dr. VP Agrawal and Dr. Hari Krishna Sainju highlighted different prospects of biotechnology as chair-persons. Discussions were held on different constraints Nepal has been facing and measures to be taken for active progression in the field of biotechnology. Overall program was focused on measures to be taken to adopt agricultural biotechnology as a farmer friendly and environment friendly technologies. 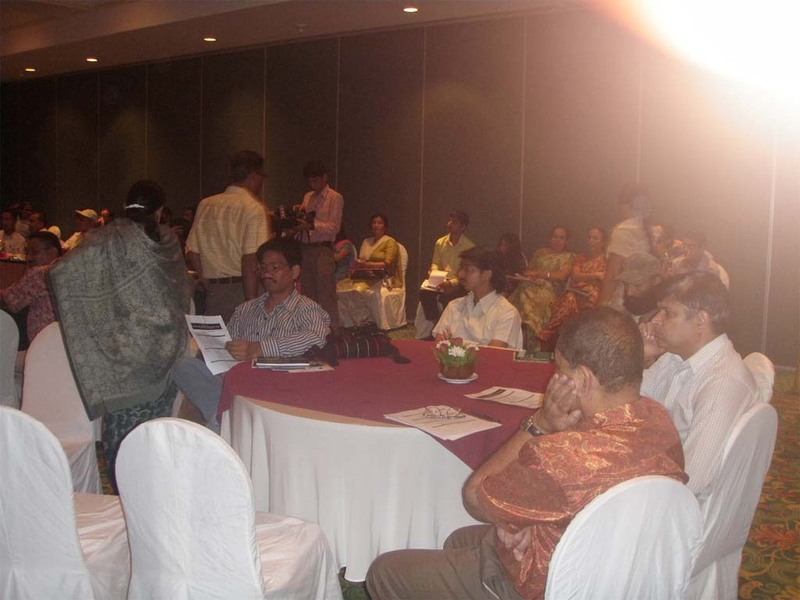 International Symposium on Biotechnology (Education, Research & Industrialization) was successfully held on 14thJune 2009 organized by School of Biotechnology, White House College of Science & Engineering (WHCSE) in collaboration with Nepal Academy of Science and Technology (NAST), Nepal Agricultural Research Center (NARC), Tribhuvan University (Department of Biotechnology), University Grant Commission Nepal (UGCN) and Prubanchal University. The symposium was conducted inside the seminar hall of the newly inaugurated building of WHCSE located at Khumaltar, Lalitpur. The Seminar hall was enthusiastically attended by a remarkable number of international delegates, scientists, academicians, entrepreneurs and students representing various institutions related to biotechnology and life sciences. We would like to thank the organizers for inviting BSN to the program where four of our executive members – Ms. Barsha Poudel, Mr. Niran Maharjan, Mr. Raunak Shrestha and Ms. Sujita Mainali attended the program. The symposium was divided into three sessions – the inaugural session, preliminary session and in-house session. In the inaugural session, Mr. Yubraj R. Sharma (CEO, White House College) delivered his welcome speech. It was chaired by Prof. Dr. Ramavatar Yadav (VC, PU) who stressed on the progressive science and also shared his experiences on carrying out academic research. The chief guest of the event, Prof. Dr. Homnath Bhattarai (VC, NAST); put forward his concern over the challenges to implement biotech in national development and quality biotech education in Nepal. He also stressed in identifying the areas of biotech in which developing countries like Nepal can excel. Dr. Bhartendu Mishra (Executive Director, NARC) briefly highlighted NARC’s involvement in development of biotechnology in Nepal. Mr. Rajeev K. Singh (HOD, School of Biotech, White House College) concluded the session with vote of thanks to all the guests and participants of the program. A short tea break was followed by the preliminary session, in which some presentations by distinguished international guests were delivered. Dr. Therstein Buch (University of Zurich, Switzerland) delivered his presentation on“Advances in Transgenesis Technologies for Immunological Research”where he talked about generation of embryonic stem cells, trangenes and molecular switch. Dr. Buch was followed by Dr. S. Ramachandran (G.N. Ramachandran Knowledge Centre for Genome Informatics, India) with his presentation on“Open Source Model for Drug Discovery: A New Concept.”He focused on uses and application of open source drug target database. Mr. D. Krishan (Banglore GeNei, India) delivered a talk on“Product and Services in Biotechnology”in which he highlighted the various products of GeNei. Finally, Dr. Anandhi Ramachandran (DOEACC, Chandigarh, India) gave a very encouraging and thoughtful presentation on“Basic Tools for Bioinformatics”in which she focused on use and scope of bioinformatics in life-science and biotech research. The final in-house session followed after the lunch break where the leading scientists of Nepal presented their research works. 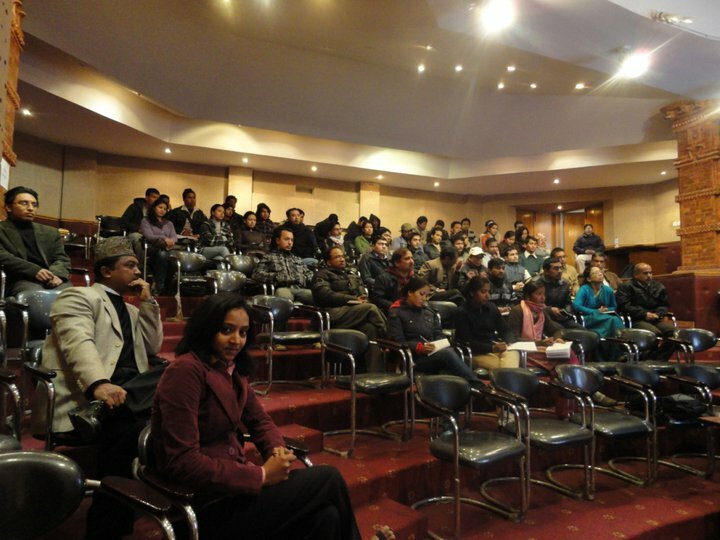 Dr. Sangita Shrestha highlighted life-science and biotech related researches carried out by NAST. Dr. Shrestha was followed by Dr. Kanti Shrestha (NAST) who delivered her presentation on“Natural Product Chemistry and Biotechnology”and talked about various medicinal herbs found in Nepal and their use as potential drugs/drug targets. Also Dr. Pramod Aryal (Managing Director, Everest biotech) delivered his encouraging presentation on the topic“Non-conventional Pathway for Drug Discovery GSK-3Beta inhibitor and Vitamin B-12.”Finally Dr. Hari Prasad Bhim (NARC) highlighted various activities carried out in NARC. “Project Work on Jar Water Sold in Kathmandu Valley”– Mittle. M, Shakya. R, Maharjan. R, Maharjan. R, and Shakya, S.
“Molecular Diagnosis of Huanglongbing (HLB) or Citrus Greening (CGD) disease of Citrus Using PCR – Based Assay” – P. Sharma, S. Shrestha, U. Budhathoki and C. Regmi. “Prevalance of Echinococosis spp. Fasciola spp. And Gyantocotyl spp. In slaughter buffalos around IAAS, Rampur, Chitwan, Nepal”– N. K. Yadav, D. K. Singh, M.P. Gupta. “Microbiological Quality of Raw Meat Sold in Kathmandu Valley.”– Bhattarai. S., Sharma. A,. and Bhattarai S.
Participation of such a number of individuals having common interest of development of biotechnology in our part of the world was something to behold. The program was very encouraging for our ‘infant’ Nepali Biotech sector. We hope to see similar programs in the future that will help the wheel of development keep rolling. BSN has celebrated DNA Day 2009 on 24th April at Martin Chautari, Kathmandu to commemorate the major events of molecular biology . This is second program on DNA day since last year when we had organized a successful talk program on “Status of biotechnology in Nepal”. This year, we have celebrated the remarkable day in a different way with an endeavor of amalgamating art and science. We had a documentary show entitled “Visions of the Future- The Biotech Revolution”, a short presentation on history before the discovery of double helix and an art exhibition. The presentation was delivered by Mr. Raunak Shrestha, a biotechnology student at Kathmandu University and the arts were created on the theme of DNA and Biotechnology by undergraduate students of arts at Kathmandu University. 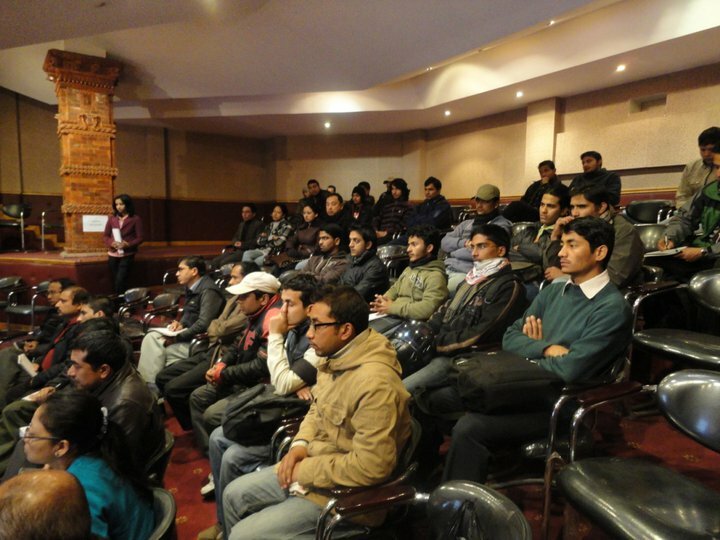 We would like to thank all the students of School of Arts of Kathmandu University for their creative support. We would like to thank sincerely to all the guests for their presence in the program and to all the volunteers for their humble support. The program was a grand success. Nepal Academy of Science and Technology (NAST), the old lion of science and technology in Nepal has successfully organized country’s fifth National Conference on Science and technology from 10th to 12th of November 2008. The gala of scientists that lasted for three days had a slogan of “Science, Technology and Innovation for Prosperous Nepal”. The festival was attended by 1200 national and international scientists, adorned by 654 presentations including two special, five plenary and 17 invited lectures on 15 different branches of sciences. Few proposals regarding increment in government’s budget allocation for science, frequency of organization of the conference and others were made and few commitments were also made by Mr. Prime Minister, Finance Minister and other stakeholders. There were around50 presentations under ‘biotechnology’ and ‘food biotechnology’ section, 25 presentation in each field. Topics covered by presentations under biotechnology were, antimicrobial effects of medicinal plants, polyclonal antibody production, gene identification, molecular characterization and genetic diversity analysis, and others. Most of the presentations were based on using tools like spectrophotometry, RAPD PCR, ELISA, western blot and some bioinformatics tools. BSN members Mr. Pawan Dulal, Mr. Pawan Bashyal, Mr. Subash Rai, Mr. Salyan Bhattarai, Ms Diwa Malla, Ms. Rojlina Manandhar also presented their research works in the conference. Biotechnology presentation hall changed after the first session on the first day. Biotechnology presentation supposed to be held at Dhrub Man Singh Hall, (A temporary hall prepared by making a partition in a corridor like place of Pragya Bhawan) had to be changed after a huge presence of audience. The hall allocated was small with space for hardly hundred audiences. Later, as the program rolled on, it started overcrowding and people crammed in to listen to the speakers. It had to be shifted to the main hall soon after the completion of the first session. We appreciate NAST’s arrangement and effective management for such a grand event but still. Can we speculate about an underestimating vision of NAST towards Biotechnology?